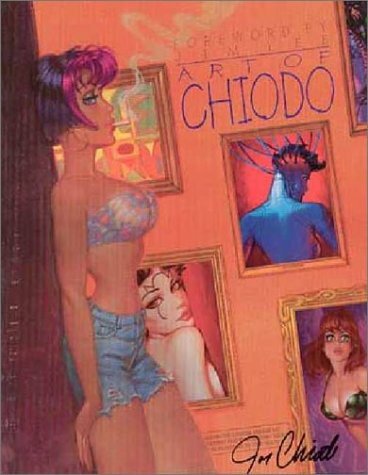 Art of Chiodo, published 1997 Wildstorm Productions. a 93 page retrospective on the artists work. A review in Spectrum #5 describes it as, "Beautifully displayed, the work of an under-appreciated talent: those familiar only with Chiodo's cute pin-up styling were surprised at the breadth and depth of his range." Joe Chiodo is a colorist in the comics industry. The art book is filled with full colour illustrations. Much of those consist of intergalactic girls in hot uniforms and superheroes. Refreshing is the inclusion of some fine art paintings under the chapter Early Years. It is also interesting to read that he has no formal art training but those paintings seem to tell a different story. The book is 92 pages with the foreword written by Jim Lee.